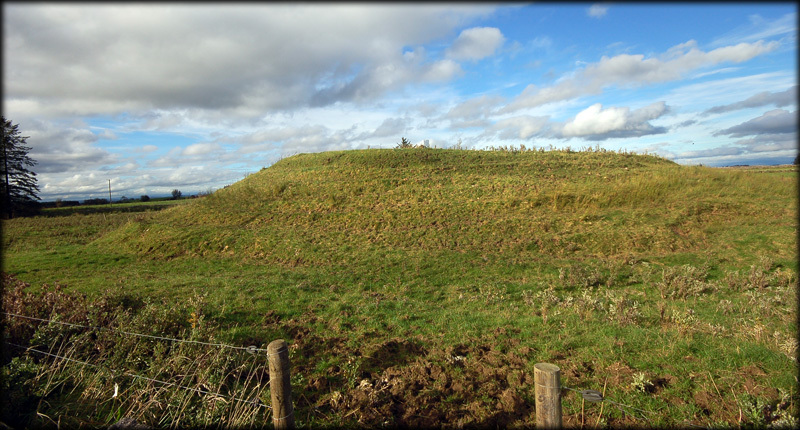 About 600 metres north of Rathcroghan is the large stepped mound known as Rathmore. It is over 30 metres across and is surrounded by a deep ditch. It has an eastern causeway, pictured left, leading to the top of the mound. This is believed to have been a high status dwelling site. Some of the monuments at Rathcroghan appear to be quite neglected, in particular this Rath along with Rathnadarve. It is quite saddening to see the condition of these national monuments as collectively Rathcroghan must rank amongst the very best of Celtic Royal sites. Situated: From Tulsk head north on the N5. 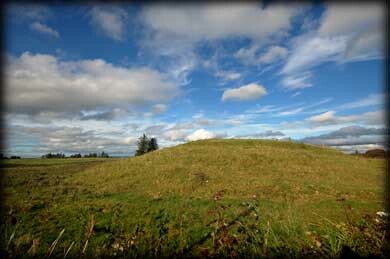 About 600 metres after the Rathcroghan Mound, Rathmore can be clearly seen on the right hand side. Discovery Map 33: M 7952 8455. Last visit Sept 2011.